If there were one “magic” supplement, that could improve reflux symptoms for most people it would be D-limonene. I have taken orange oil myself occasionally throughout the years with mostly positive effects on my H. pylori upper gut dysbiosis. For example, I contracted the norovirus a few years ago from my son and I thought my H. pylori dysbiosis had returned shortly after. My silent reflux was back, and I had foul-smelling hydrogen sulfide burps. I took two softgels of D-limonene every day for a week, and my dysbiosis resolved itself. My digestion returned to normal. So what is D-limonene and how can it improve your digestive health? Limonene is a colorless, cyclic monoterpene that is the major component in citrus fruit peel oil. Limonene takes its name from lemon peels. However, most limonene supplements are obtained from orange peels, either through centrifuge separation or steam distillation. Most limonene is used either as a fragrance for the cosmetic industry or an industrial cleaner. Limonene is also used as flavoring agent in many food products, drinks, and chewing gums. I use D-limonene around the house as a natural botanical insecticide, and it works pretty well keep the outside fire ants from coming into my house (I recommend and use the product Orange Guard). Orange essential oil can be used for aromatherapy (I do not recommend its use around pets or young children it may irritate their lungs), can be taken internally when mixed with a carrier oil (like coconut oil), and topically. Lucky for us, limonene has many health benefits associated with its use. Finally, one interesting fact I discovered about D-limonene and the digestive system is that it was studied in Japan to be used to dissolve gallstones, in people with gallbladder disease. D-limonene was injected into the billary system of about two hundred patients to dissolve their gallstones to prevent the need for gallbladder removal. Gallstones dissolved completely in the gallbladder in about half of the cases (ninety six) and was ineffective in about twenty-five percent of the cases (fifty-nine). The rest of the cases in the study had partial dissolution. I believe that more studies need to be performed to see if we can use this method to safely preserve the gallbladder instead of having it removed if it is full of stones and causing blockage. I recommend that you either use the limonene supplement Orange Burps, in easy to swallow softgels. In addition, be sure to follow the supplement instructions as well. Most people take limonene with a meal to prevent gastrointestinal upset. I recommend most people take one to two capsules in the morning with breakfast, but if the supplement becomes too sedating you can take it with dinner. Orange oil is very important for protecting the esophagus and stomach, relieving inflammation in the digestive system, and reducing and preventing dysbiosis. I recommend trying it if you are dealing with heartburn today and find some relief. Do you know if D-Limonene safe for those who are pregnant? Unknown, there are no studies to determine its safety. Thanks for the post! I’m purchasing the d-Limonene liquid (food grade by Blubonic Industries). I prefer buying the liquid form because all the softgel options use animal products (gelatin). Do you know the equivalent dosage in liquid form to 1000mg? Is it strictly weight? 1000mg (1g) of liquid seems like it would be a lot. day 4 of Limonen_E drops, taken in morn. Still have acid after evening meal..suggestions please? Take it DURING your evening meal. Are there any complications of taking D-Limonene with digestive enzymes of Betaine HCL? I have fibromyalgia. I also suffer with herd and I have no gall bladder due to gall stones. I was on omeprazole , but I read that this drug was dangerous so weaned myself off them. I still have gets but not as bad as I am now gluten and dairy free. I was very interested in this article and taking D – limonene but am unsure as I have no gall bladder , would this be ok ? Hi .. I have just been diagnosed with grade c aesophagitis .. my doc has never heard of Di-limonene. I am again on PPI meds and my question is .. given I have moderate to severe inflammation in my aesophagus is it safe to take Jarroe Di-limonene and if safe do I take 1000 mls in one dose or should I take 500mg morning and night? Possibly, ask your doctor about it. Thank you for the information about d-limonene. I had an endocospy in early 2017 and dr prescribed carafate for bile reflux. I feel I have both bile and stomach acid reflux though. Since then I’ve been doing acupuncture with Chinese herbs, carafate, probiotics, digestive enzymes but still have problems of acids going up to my throat at night. Today, I just stepped down from a 14 day treatment of PPI, and I’m taking marshmallow root powder whenever my stomach hurts, zantac 150 1 time at bedtime then wake up two hours later to take 1 mg carafate. Felt some heartburn but I felt acids didn’t come up that much this time. Do you think I could try d-limonene with all the things l have mentioned and with having bile reflux (since you said d-limonene can produce more biles)? Thank you! Just starting to take D-Limonene and taking 1000 mg every other day for 20 days. Should I continue to take my Ranitdine 2X a day until the 20 days are over, or just take it if I feel I need to? Thank you for this information. I took a bottle of the 1,000 mg according to the protocol, and it did help, but it didn’t cure my GERD. I had an endoscopy and found I have Class C esophagitis and gastritis. I bought the liquid D-limonene and started taking one drop a night before bedtime. I gradually worked up to 4 drops over the past month, but am also taking Zantac 150 4x a day by doctor prescription. My GERD is still there, and I dare not miss an acid blocker pill, or it gets worse. My doctor gave me 12 refills of the Zantac, so I’m assuming he expects me to take it forever, but I don’t want to, so I’m going to try to wean myself off after 2 months on it. I’m taking the D-Limonene daily, since I’m not sure of the dosage for the liquid. I sort of judge it by the burps. Once I stop burping after a dose, I increase it. It does seem to be helping with my depression and sleeplessness. I read somewhere that you should take the 20-day protocol, then get off it for awhile. I also read that large doses are not usually harmful, but nowhere have I seen if it’s safe to take every day. What do you think? If you stay on the acid blockers, you’ll never have a chance of curing your GERD. I’ve been suffering from terrible GERD for a decade now, on PPIs for several years. I finally quit taking them a month ago and am trying a very careful diet and natural rememdies like limonene and other things. Good luck. 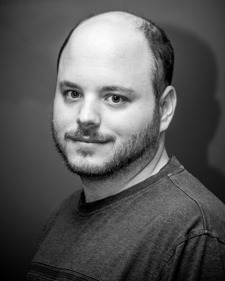 Hi John, thank-you for your page! I started my son and Husband on D-Limolene and in my research I really liked the effects it can have, so I started the jarrows formula for prevention. Is D-Limolene safe to take daily indefinitely fore protection (as my Mother had breast cancer and I have been proactive)? I cannot say it is safe for daily usage, but it has been taken daily for months in studies with great toleration. Can you take d limonene indefinitely? I tried the 20 day course and felt marginally better but now I have acid teflux 24/7. I only take bicarbonate and water to ease pain. If it’s safe I’m happy to continue it everyday second day forever. If I don’t have a gallbladder can I still take D-Limonene? Yes, watch out for bile acid malabsorption diarrhea which can occur from it triggering a strong bile release. Have you read anything that would indicate this D-Limonene can dissolve gallstones? Thank you John. Very well researched and written blog. I got a lot of good information from your site. I wish MDs were as well informed. Thank you for the kind words Bart. Would you anticipate a negative reaction between digestive enzymes and d-limonene? You may irritate the stomach lining from the digestive enzymes and from the endotoxin die off from the D-limonene, but that would be rare and limonene is cytoprotective of the stomach. Is there a particular time of day you recommend this be taken? With/without food, etc? I like taking it with dinner, it has a calming effect. I would always take it with food to lessen stomach upset. to try this product as I have constant heavy mucous. Nancy – Google the brand Orange Burps. They have smaller softgel capsules. They’re easier to swallow, and you don’t have to take as much at once if you don’t want to. Jarrow has recently reformulated their softgels to be smaller and they are now selling a bottle of 120 capules, with 2 capsules constituting a 1000 mg serving. I notice that Amazon reviews for Jarrow D-Limonene 1000 mg softgels run about 300 positive to 100 negative. 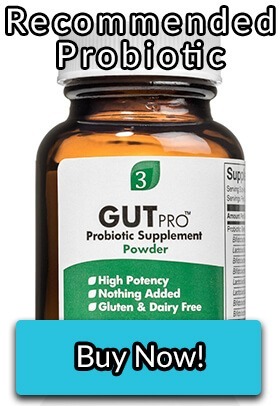 Not a bad ratio, but some of the negative reviews speak of serious stomach discomfort, nausea/vomiting, and reflux that is exacerbated by the pills. Any thoughts on why the large divergence in experiences? Die off causing increased inflammation and Th2 histamine reactions. Yes, you should be able to take it as needed, but ask your health care professional to be sure. I’m getting down to the last few of 60 1000mg d-limonene softgels. I’m not cured, but I’m pretty sure they’ve helped with my reflux. I wonder though, should I buy another container and continue to take them? I would assume it would be safe to take another bottle to see if it helps, but make sure you get the approval of your health care practitioner. Most of my posts are new information that may not be in the book. The book is a good reference and full of good information. Some of it is on my blog and some of it is in the book only. 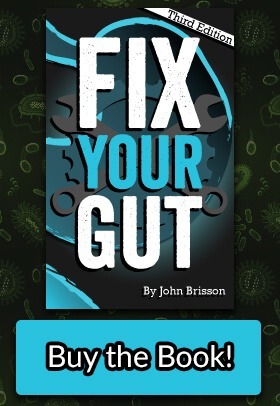 I live in Canada and have been a follower of John Brisson from the time his first edition of Fix Your Gut came out. My doctor recommended Jarrow Limonene as part of the protocol to get me off Nexium (20 years and many unsuccessful tries.) However, I could not find Jarrow or Enzymatic Limonene in Canada. Jarrow can be ordered through Amazon, but will take some time to arrive. However, with a little searching one can find Limonen-E made by Vita-Aid Professional Therapeutics (manufactured in British Columbia). Just thought I would pass this information along for any Canadians looking to buy Limonene. What do you think about gelcap VS liquid form of D-Limonene? Would you suggest one is better than other? The orange essential oil contains more terpenes and maybe harsh. What are side effects of D Limonene? For some it can cause irritation in the esophaugus and cause herx reactions from die off. It rarely can cause breathing issues from aspiration, but for most it is well tolerated. I have been suffering with lpr for the past 6 years, constant lump in my throat and struggle to talk. Been on lansoprazole and that seems to make my throats worse. Will d-limonene, reduce this feeling in my throat or even better get rid of it! 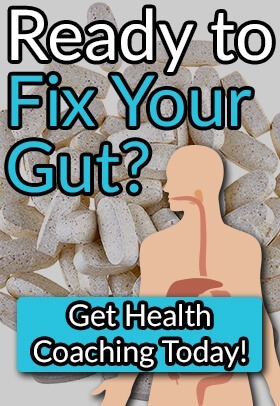 Yes it can, by reducing inflammation and the sphincter’s contact with acid, pepsin, bile, and or endotoxins. Thank you for all the useful information on your site. D-Limonene…wouldn’t that be considered citrus that GERD and LRP sufferers are supposed to avoid? No, D-limonene is a component of citrus, it is not the citric acid which does the most damage to an inflammed esophagus. D-limonene in studies have been shown to be protective of esophageal tissue. I have been taking d-limonene for about a year now. No bloating at all and I am a former (no longer) IBS sufferer! I decided it was time to come off the Omeprezole that I took for decades. After researching the long term effects of taking this stuff, I decided I must stop taking it. Nice how the Dr’s never tell you about the rebound effect and that you shouldn’t take this stuff long term. It has been a very difficult process. The rebound effect of more acid then you ever had before is awful. Now I take Ranitdine 2X a day and the D-Limonene usually twice a day. The D-Limonene is amazing stuff! I don’t know exactly how it works, but it does. I was desperate to find something and after a lot of web research, I found this stuff. Whew! Hopefully, the rebound effect will ease up. It’s been about 6 weeks since I stopped the Omeprezole. what about the use of d-limonene if you have an ulcer, or feel like you do? Use with caution, it may help but if the ulceration is severe enough it may cause inflammation. How would you incorporate this with your other protocols? E.g. would you wait until H Pylori eradication? You could use D-Limonene with any of the protocols, it wouldn’t hinder any of my protocols. The only reason one would’t use d-limonene is if they had any side effects with the supplement. Have you noticed if it causes bloating in any of your clients initially, but goes away after using the supplement for a few days? Yes, it could be from die off creating excess hydrogen and causing bloating.